Mars Gone Wild In Sagittarius! – So What If You Try Breaking The Limits ? Mars will pass through Sagittarius until 27/09/2016, as it becomes retrograde on April 17 and May 27 again returns to Scorpio (up to 23º), and on June 30- again direct . The Knight Mars- defender and warrior responsible for the growth of our ego, independence and autonomy, going into fire sign Sagittarius. Depth, passion and sexual attraction of Scorpio will now be transformed into curiosity and desire to know and start loving our world. We have already completed the deepest analysis and drama. The past transition of Mars into Scorpio, perhaps tore off our skins and now renovated and charged, the changes remains, but move forward. 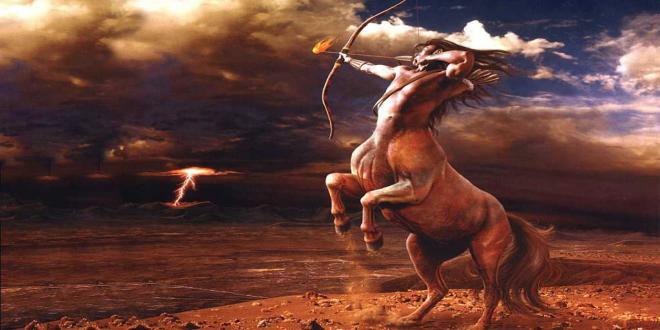 The Sagittarius is the one instigator, who tempts us to go beyond the status quo and daily horizons to explore what lies beyond the known and established. This does not mean that someone or something will destroy the comfort with which we are used to, but if too long we have held fast to generalizations whose meaning have been long ago forgotten, it will not be surprise if something strikes us out of this lethargy. When this planet enters the fiery Sagittarius, it awakens our need for expression and affirmation of our identity. But how to be different if we continue to believe in the same prejudices and superstitions, that have taken away our independence? While she repeated how “all men are equal” does not see her own unilateralism. While he repeated how “women always lie and manipulate” he concealed his loss of personal prestige. While they repeated how “everyone is materialists” they concealed the lack of courage and willingness to take risks. While we continuously repeat “how we are subtle and jealous” we forget the meaning of words “creative and competitive”. If we trust that the provocateurs Mars and Sagittarius can transfer many of out borders, than we can meet unique and unforgettable things, experience completely different emotions, understand how infinite, colorful and multi-layered the world is. Whether you travel deeper into your own unknown universe or travel outside, Mars will nudge us to wake up from the deep sleep. Everything through this transit will be colored with a very fresh and optimistic shades and nobody and nothing can stop us, especially if you put a long-term and important goal. Mars and Sagittarius are those restless “devils” that encourage our desires to be free, even playful, but also responsible. During this transit we can really break the shackles of old patterns, expectations and attitudes to rush into learning new and inaccessible places, either in our own nature or anywhere in the world. This Fire Game between Mars and Sagittarius is the perfect period for us to break our limits and to be unlimited, powerful beings from Light and Love- Shapeless, Nameless and Powerful- Our real God’s nature.